Hellow! Whether you will spend your holiday with friends, family or on your own, everyone wants to feel fresh and nice. I went shopping for you all and got this nice package of my favorite bath essentials including a hamam towel, bath ball, shower foam, a shower oil which contains argan oil and a white wooden basket for all your bath essentials. The winner takes it all! 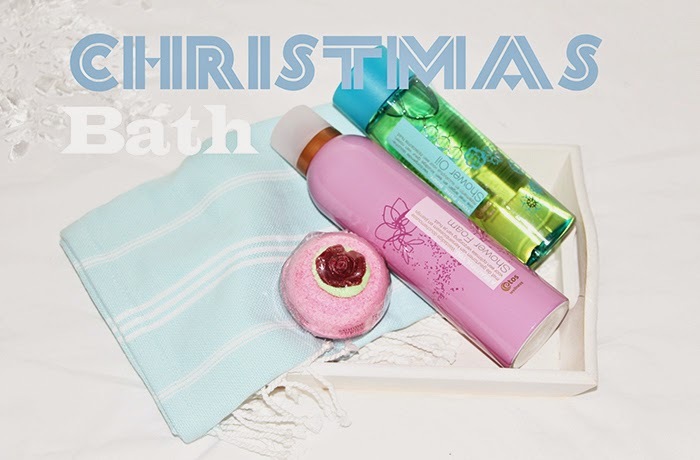 How to win this awesome bath package? If you have any extra entries please tell me how many you have and what you did to earn them. I really like the prizes! Great idea! Wat leuk zeg! Ik volg je via bloglovin, FB en bloglovin. Erg schattig pakketje! Ik doe mee, ik volg je op bloglovin!